Cap price, why cap prices differ a lot? Everyone knows that good quality goods normally with good money, price you paid and what material process and service you get were equivalent, examples below give you three regular requirements on hats why the same hat or cap but prices are so different. First let’s see one of our clients, for example, Coca-Cola China branches once needed to do a lot of offline promotion supermarket square promoters, such as this kind of hat, their price is low, we call it a promotional caps but please notice, since that is made of big LOGO advertising effect, even comfort durability requirements are very low, many temporary activities and even disposable goods. This kind of demand hat price is rather on the low side. 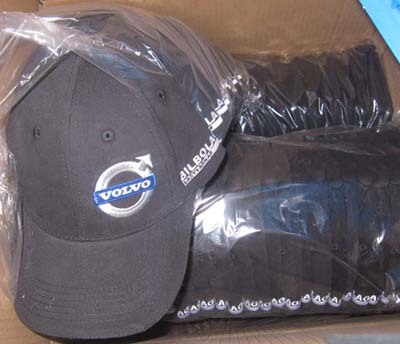 The second clients we want to talk: Benz, Infiniti, Volvo, for example, made caps, was used to test drive activity to test drive customers gifts. Infiniti is known to all is a luxury brand, so they have some very strict requirements about the quality of the hat, but because it is free of price have a certain budget, this kind of demand hat is medium price. The third kind of customer is Answer, our top brand hat company in China as a example, the Answer is the domestic well-known clothing brand positioning in the high-end In the department stores have a branch in which this kind of request higher quality Every detail of the hat is very harsh, from material to each step having a request to the packing, the customers have a high request for every detail of course, They sold the price was also high in the shop, and it said the two auxiliary tools were marketing activities. Answer this is direct sales, so the price of the hat will be on the top high side, that’s high class quality caps. From what has been discussed above We will ask customer hat purposes In according to the need of quality offer. In addition to the above said , for example a small embroidery on cap, domestic embroidery machine and imported embroidery machine in Japan can be embroidered But the quality is so far. Embroidery machine price differs a few times, our factory is imported Japan behringer embroidery machine, and many of other factors Not listing here may affect the price as well. Actually you know, good quality caps worth much more money. Client can view this wholesale cap order of some of our previous orders to see different kinds of quality caps that made by our China caps factory for your rerference.